Broadfield East pupils forget the cold to improve their skills! Crawley Town Supporters Alliance community ‘Soccer in Schools’ initiative is progressing nicely. Community officer Colin Lowes visited Broadfield East this week to get the lowdown and present a commemorative plaque to Head Teacher, Tony Abbott. 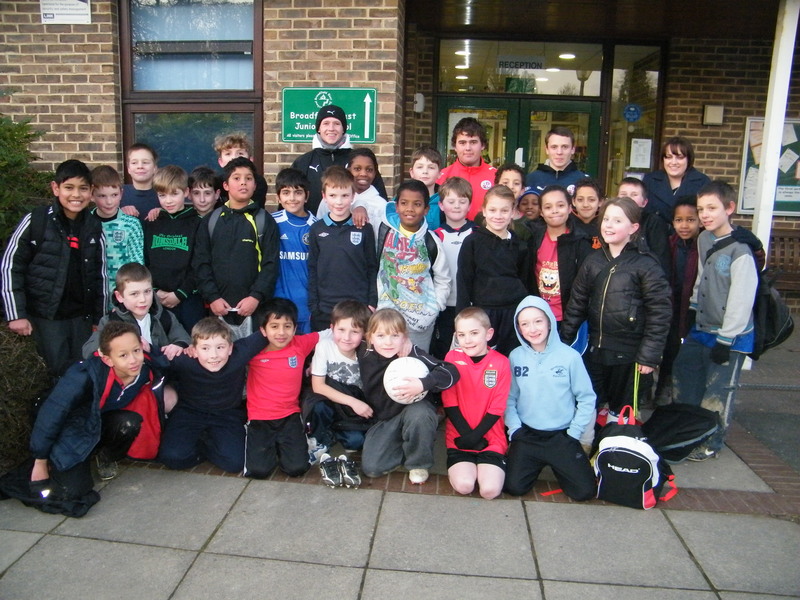 CTSA are sponsoring young CTFC coaches to give free after school football sessions to primary school pupils. Colin and Headteacher Terry Abbot try hard to look as if they can't feel the cold! The future of Crawley Town?! Centre of Excellence under 10 manager Stuart Duff (Duffy) regularly takes the session. He said “these youngsters turn out in force week in week out, its a great opportunity to have some fun and improve their skills’. Pupil Maryanne Rattigan (9) is hooked saying that she loved the sessions especially when Duffy was in charge. CTSA and its members can be rightly proud of the involvement and financing of this project and we hope to continue through 2012 and beyond. The children of Bewbush and Broadfield East are receiving excellent soccer training and who knows several may go on to grace the Broadfield Stadium one day. Words and pictures from Colin Bowman, CTSA Press Officer. 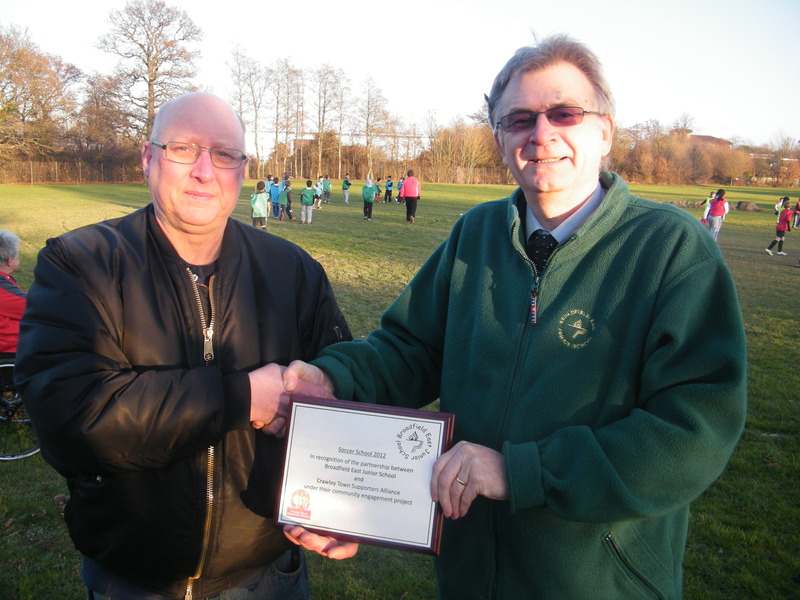 Look out for more on this story in next weeks Crawley Observer- and we’d like to thank “The Obby” for their continued support.